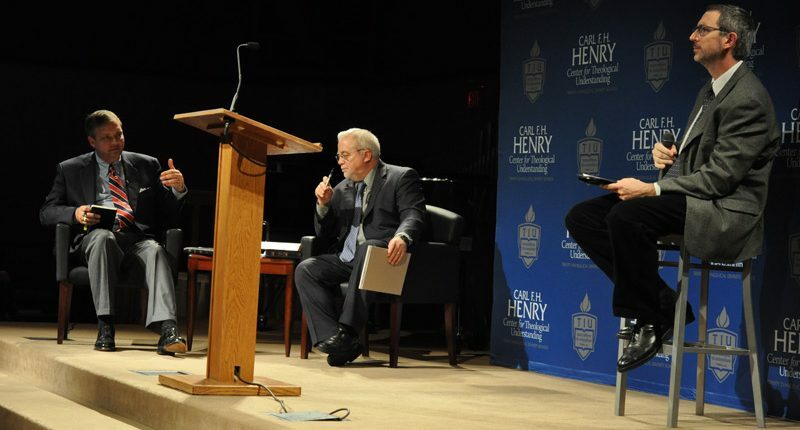 The ATO chapel of Trinity Evangelical Divinity School was filled to capacity as over 600 people attended the stimulating debate between Jim Wallis and Al Mohler on the question: Is Social Justice an Essential Part of the Mission of the Church? An even larger audience was able to view the debate through our live-stream. Dr. Chris Firestone, philosophy professor at Trinity International University, was excellent at moderating the event. Many people in attendance agreed that the discussion clarified in a helpful way the important theological and social issues that are at stake. For those of you who missed the conversation, we’ll be posting the free audio and video of the entire event within two weeks here.